Mark Kolke visits with interesting Calgarians - to catch a glimpse of what drives them, how they see the world and what they see in Calgary's future - and shares what caught his attention. + Doug Lawler to CEO @ Chesapeake Energy Corp.
+ Stephen Preston to CEO @ Livingston International Inc.
+ Aubrey McClendon, Jeff Fisher, Steve Miller and Martha Burger – all ‘reorganized’ out at Chesapeake Energy Corp.
+ Oct. 7 – Calgary Stampede 2014 – tickets go on sale! + Berkshire Hathaway Holdings reported acquiring a $500 million stake in Suncor Energy Inc.
+ Omnitrax Inc., operator the Churchill Manitoba port, exploring shipping oil to Europe out of Churchill . . .
+ U.S. Government activated charges against JP Morgan Chase traders Martin-Artajo and Grout in connection with $6 billion in trading losses; seems they are avoiding arrest . 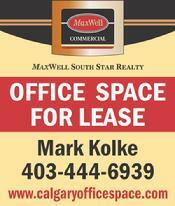 . .
DO YOU NEED AN OFFICE SPACE REVIEW?